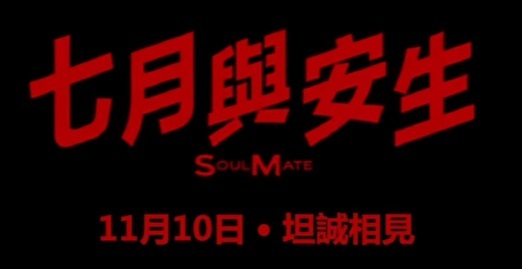 Nominated 7 Golden Horse Awards, SOUL MATE is based on same titled coming-of-age novel. July and Ansheng were friends since they were 13 years old. A twist of fate puts their friendship to test when they fall in love with the same guy.. Directed by Derek Tsang, starring Zhou Dongyu, Ma Sichun and Toby Lee. 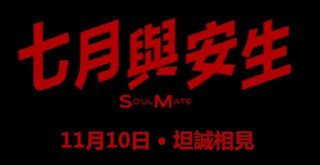 SOUL MATE opens in Singapore this 10th Nov!